BURBANK, CA–(Marketwire – 07/20/11) – Warner Bros. Records will release the original score to Lionsgate®'s feature film Conan The Barbarian on August 16th, three days before the film hits theaters nationwide on August 19th. 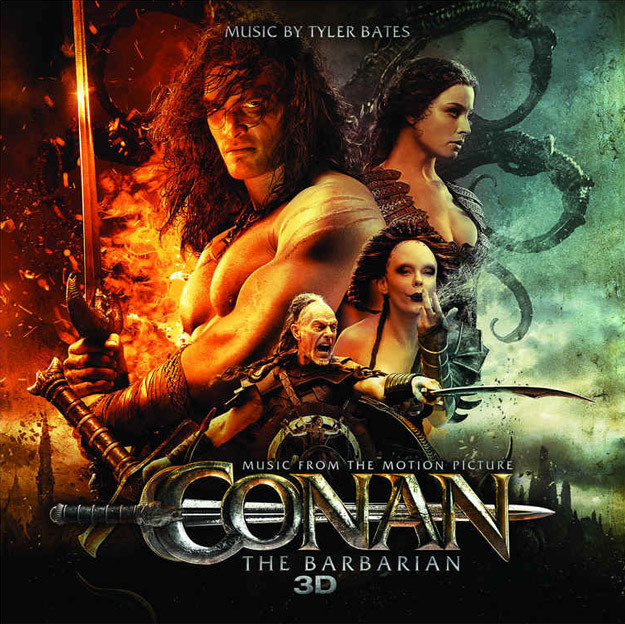 Conan The Barbarian Original Motion Picture Score features music by recording artist, composer, and music producer Tyler Bates. Bates is known for his surprising juxtapositions of music styles and flair for delicate, atmospheric touches, as well as stressing emotional vibrancy over traditional formulas of music compositions. With more than sixty soundtracks to his credit, including 300, Watchmen, and Sucker Punch, Bates' distinctive symphonic scoring and tailor-made sound design leave every storytelling style open to his musical imagination. The most legendary Barbarian of all time is back this summer. Having thrived and evolved for eight consecutive decades in the public imagination — in prose and graphics, on the big screen and small, in games and properties of all kinds — Conan's exploits in the Hyborian Age now come alive like never before in a colossal 3D action-adventure film.